Who Can Resist That Mug? 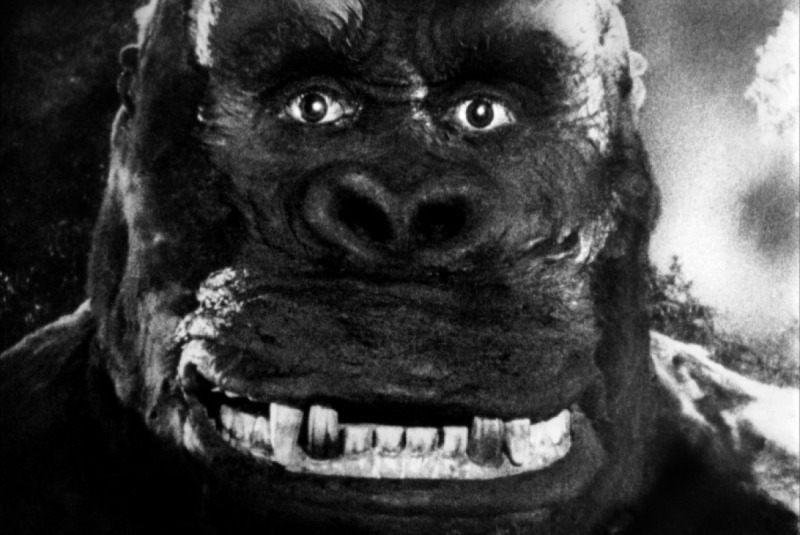 I must have seen the original King Kong (1933) over twenty times by now, and I never seem to grow tired of it. One of the reasons I love it is that it is Pre-Code. As such, it gets away with many scenes that a few scant years later would have received the kibosh from the censors at the Hays Office. In one of my favorites, Kong employs Fay Wray as a scratch-n-sniff toy, stripping away her outer garments as if they were onionskins and holding his fingers up to his nose. You can see the scene on YouTube here. A few years before he died, I happened to meet the producer and co-director of the film, Merian C. Cooper. He spoke to a film class at UCLA for which I was the graduate teaching assistant. During that class, he gave his own interpretation of what Kong was really about. Now I don’t necessarily take his word for it, but he says that the ape was a symbol of the downtrodden black race which did not know its own power. Maybe, but there are too many vignettes of the giant gorilla munching on black natives or crushing them like insects under his feet for that reasoning to be altogether convincing. While I liked the big gorilla, I went ape for Fay Wray. After seeing countless movies of the period with goldilocks-looking blondes wearing those stupid cloche hats, like cloth helmets, it was refreshing to see a healthy young woman who would be considered a knockout today—without having to squint your eyes. Oh, and she was also a pretty good screamer. There have been numrous remakes and near look-alikes, but I still think the only ones worth considering were done by Ernest B. Schoedsack with or without Merian C. Cooper. I am specifically referring to Son of Kong (1933) and Mighty Joe Young (1949). In the age of CGI, Kong just ceases to be interesting. The model work in the Schoedsack/Cooper films was nothing less than superb. 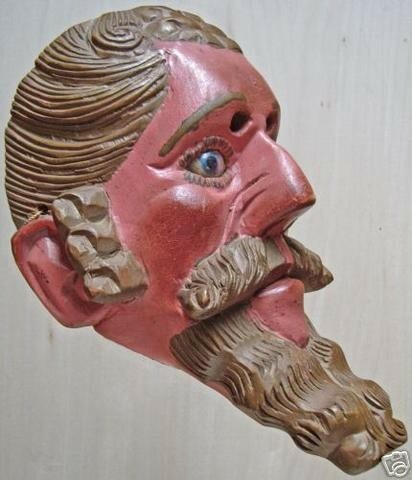 [In 1618, Fathers Bartolomé de Fuensalida and Juan de Orbita] were shown a large idol in the form of a horse, called Tizimin Chak, the “yhunder horse.” When Cortés had visited Tayasal in 1525 he had left behind a lame horse with the Kan Ek’ of that day, promising to return for it himself or to send for it. After Cortés’s departure, the Itza treated the horse as a god, offering it fowl, other meats, and flowers, but the horse soon died. The Itza later made a stone idol of the horse. When Father Orbita saw this image, the idolatry so enraged him that he smashed the image to bits. The Itza, outraged at this sacrilege, tried to kill the missionaries, but Father Fuensalida seized the occasion to preach a sermon of such eloquence that the tumult subsided and the missionaries’ lives were spared. On the island of Flores in Lago de Petén, the site once occupied by Tayasal, there is today a stone statue of a horse commemorating the poor thunder horse. [Fray Bartolomé] Las Casas goes on to itemize the atrocities committed by Alvarado during the conquest of what became known as Guatemala. 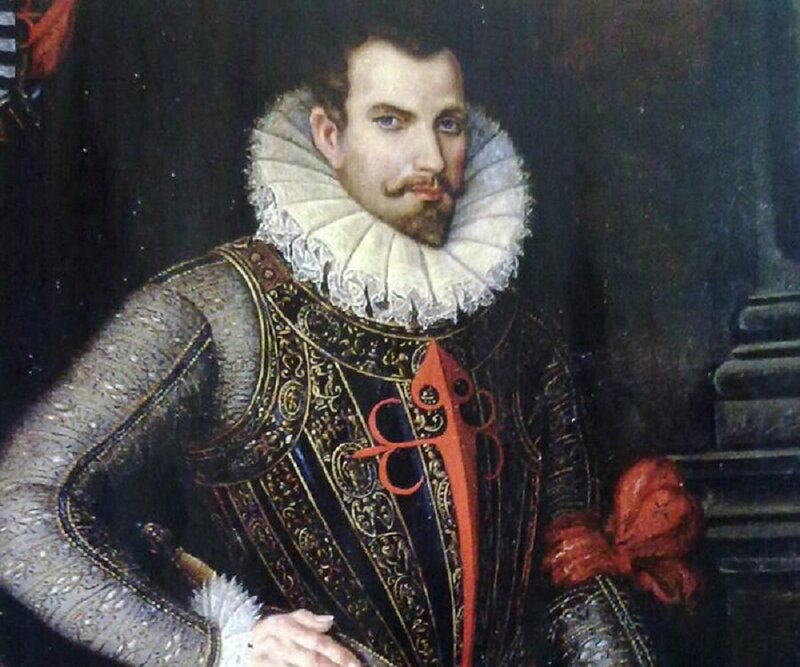 There is no reason to reject Las Casas’s account, for Alvarado’s own letters, which provide the best history of the conquest of Guatemala, allude to the terror tactics he employed against the defenseless populace. We commenced to crush them and scattered them in all directions and followed them in pursuit for two leagues and a half until all of them were routed and nobody was left in front of us. Later we returned against them, and our friends [the Mexican allies] and the infantry made the greatest destruction in the world at a river. We surrounded a bare mountain where they had taken refuge, and pursued them to the top, and took all that had gone up there. That day we killed and imprisoned many people, many of whom were captains and chiefs and people of importance. One of the victims was Tecun Uman, a K’iche commander, now considered a hero to the Maya people, and after whom a city bordering Mexico has been named. 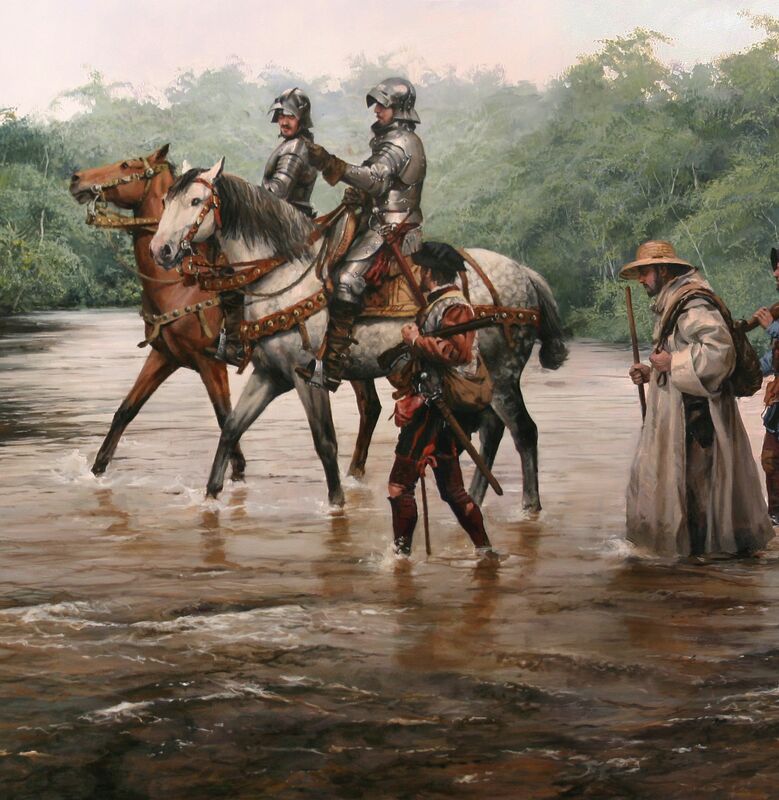 There was no way the Maya could withstand the force of firearms, horses (which the Maya had never before encountered), and the ruthless military intelligence of Pedro de Alvarado. I have been talking long enough about my upcoming trip to Guatemala, but I finally took steps to reserve my flight to Guatemala City and back and reserve accommodations for the first part of my trip in the highlands. 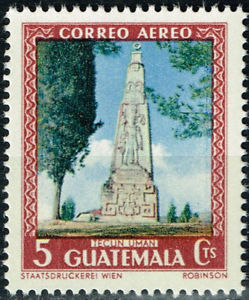 These include the Antigua and Santiago Atitlán. Within the next few days, I will also reserve single-night stays in Panajachel and Chichicastenango. 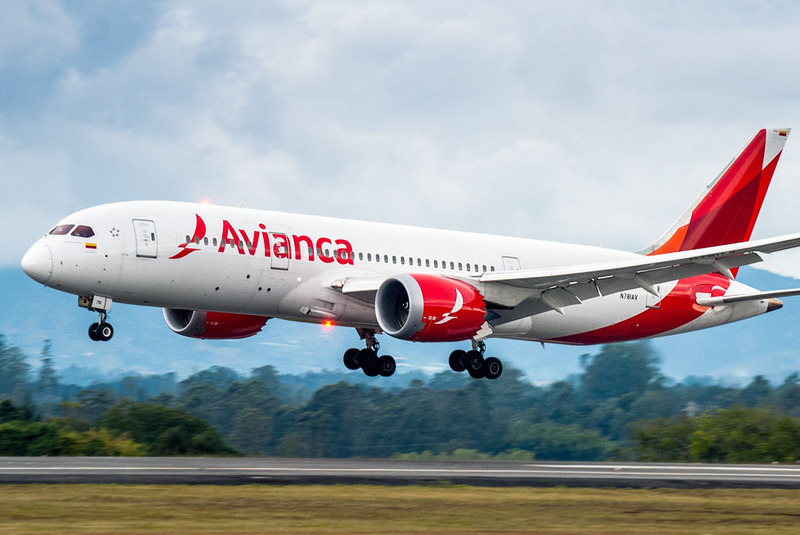 My airline of choice for this trip is Colombian-based Avianca. If you are not familiar with the airline, it is the oldest commercial carrier in the Western Hemisphere—older than any of the U.S. carriers with their money-grubbing extra fees. The plane may have Taca or Lacsa livery, because Avianca purchased these two Central American airlines a few years back. The only airline in the world that is older is KLM in the Netherlands. I’ve mentioned this before, I think, but I am prejudiced against U.S. carriers. The last time I flew to South America, I had to take American to São Paolo, Brazil. I ordered a cup of hot tea. They gave me coffee instead. I spit it out (being the coffee-hater that I am) and complained bitterly to the stewardess, who insisted it was tea. Until she tasted it. Oh! So sorry! (And so typical.) On Avianca, they know the difference between coffee and tea. A Nostalgia for Evil Empires? You can see the prejudice even in the naming of the archeological periods of Maya civilization. There is Preclassic, Classic, and Postclassic. The Classic Period ended around AD 800, while the English were struggling with Viking invaders, and while Charlemagne ruled in France. The Classic period was when most of the big pyramids and temples were built—some 700 years before Cortés and the Spanish decided to muscle in on the action. 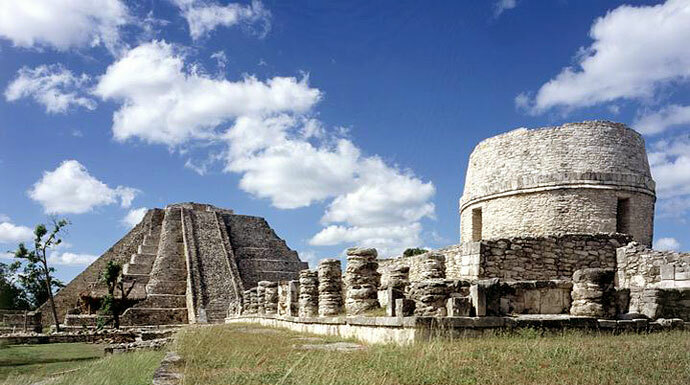 When we travel in Yucatán or the jungles of Petén, what we marvel at are the Classic ruins of places like Tikal, Copan, Calakmul, Uxmal, and Chichen Itza. In our simple way of admiring the wrong things. The Classic period was great for the divine kings who wasted their subjects in massive construction projects and endless wars. After the Classic period, the Maya actually improved their lot: In place of pharaonic dictates to abject slaves and massive tragedies when one of their divine kings bit the dust, the new emphasis was on trade and multiple sources of power. Of course, there were no more huge pyramids, but the Maya could spend more time on agriculture, trade, and a slightly less domineering religion. When the Grijalvas and Alvarados began attacking the Maya, the Maya resisted. The Aztecs lasted only a couple of years under the onslaught of the Conquistadores, whereas the Maya held out until 1697, some 175 years after the Aztecs fell. Today, there are about a million speakers of Nahuatl, which was the language of the Aztecs. The Maya today number about six million in Mexico, Belize, Guatemala, Honduras, and El Salvador—and they speak some 28 dialects of the Mayan language! While the Aztecs went down in flames, the Maya survived in greater strength despite multiple attempts to curtail their numbers and their power. 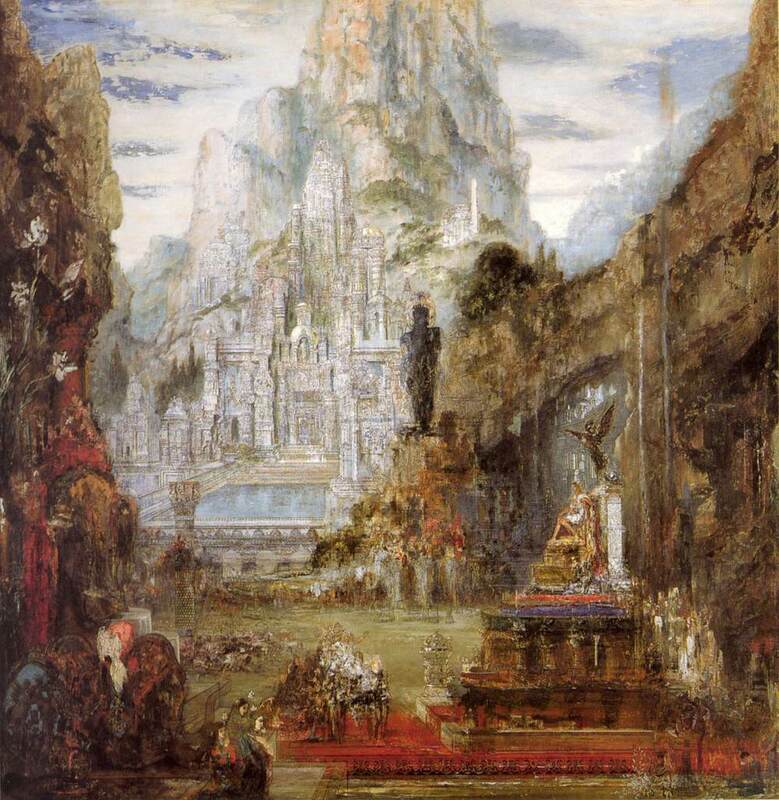 Remember the Triumph of Alexander the Great, by Gustave Moreau? rays of harmony. And it didn’t take your breath away. outdoors. Ah, the hostility of life outdoors! It was several years ago, when my brother was living in Paso Robles near California’s Central Coast. When I would go to visit him, we usually went shopping together at the farmers’ market at nearby Templeton. Once, one vendor selling olives stuffed with chile habaneros (see photo above) offered Dan and me the opportunity to taste one, all the while grinning as if he expected us to spit them out. We ate the proffered olives, smiled, and asked for more. The vendor looked at us as if we were from the hot side of Mercury. 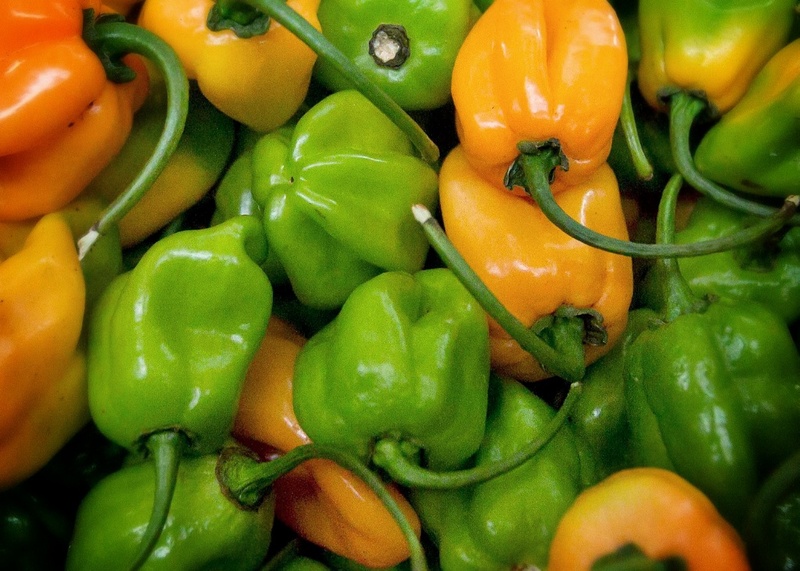 I can eat chiles up to about half a million Scoville units, namely the habaneros or Scotch Bonnets. If I were to make a large pot of soup, I could put half a chopped habanero in the pot—but no more! As for the superhot chiles such as the Carolina Reaper or Ghost Chiles, they are really too hot for comfortable human consumption, even by chiliheads. I have had powdered ghost chiles on occasion, but only in m-o-d-e-r-a-t-i-o-n.